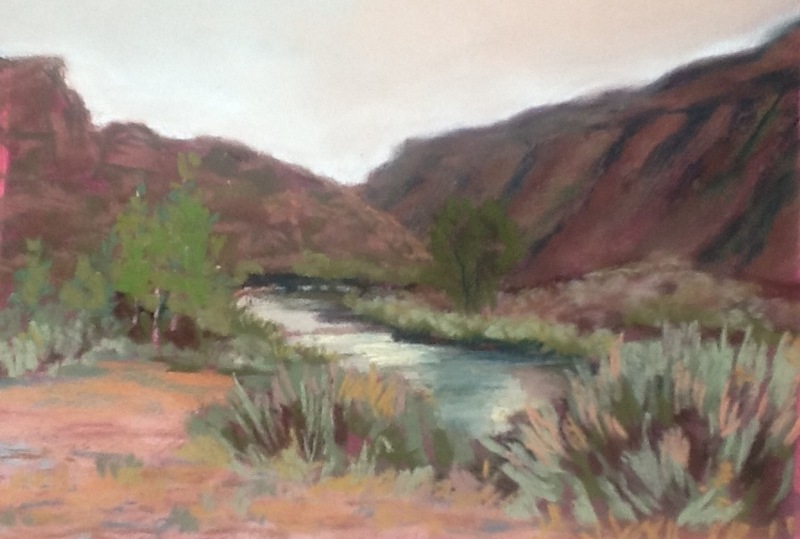 This is the Rio Grande near Taos, NM. It was a quiet overcast day. I painted this from a small color study and a photo (the photo was all grey, so I was thankful for the study). I think this one of your better landscapes. I really like how you handled the river and the foreground colors. Thanks for the lift! I, too, love the palette chosen for this one. This is such a special place. I see something different every time I’m there. You’ve provided yet another vision.